All therapists have a few “secret sauce” ingredients that help make them unique. At the risk of bragging just a little, here are the aspects of Ryan Therapy Services that sets us apart from other therapists. We think these add up to why our clients benefit from working with us. Experience: Twenty years of therapy practice adds up to twenty years of deep listening, compassionate responding and understanding what works best and what doesn’t. Hour after hour, each session and every client in the last twenty years has influenced the therapist I am today. 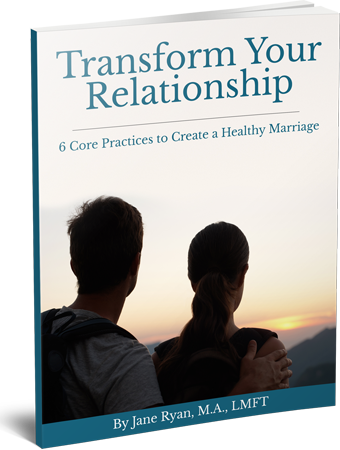 Training: I have actively pursued specialized training in couples therapy by some of the most effective and successful couple therapists available, Dr. Ellyn Bader and Dr. Peter Pearson of The Couples Institute in Menlo Park California. I have learned from their expertise and I am committed to honing my skills continually through my ongoing mentoring relationships with them. Many therapists see couples but do not have specialized training in this very complex aspect of therapy work. I require all therapists who are part of my team to learn and master the Bader/Pearson Developmental Model for Couples. Staying Human: I believe my most valuable and effective asset as a therapist is not the experience and the specialized training in couples therapy; I believe it is my ability to sit with human beings and meet them where they are, without judgment and with great respect for their life story. I bring my own human-ness to the therapy room and strive to be fully present as a fellow traveler on this journey we call life. Deep growth and healing does not come from the technical skills and tools as much as the ability to sit with the uncertainty and complexity of life. Teacher and Mentor: I have trained other therapists in couples therapy. My teaching and mentoring experience began when I was a faculty member in a graduate program for Marriage and Family Therapy in a university setting. I did this for 5 years. 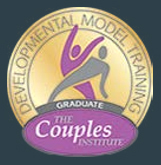 Currently, I supervise and train therapists in The Developmental Model for Couples created by Dr. Ellyn Bader and Dr. Peter Pearson. My experience and training allows me to supervise, teach and mentor other therapists who come to me wanting to strengthen their skills and hone their craft. Choosing a Team with Intention: I carefully choose the therapists who are part of my team. I look for therapists who are doing their own internal and deep work, who practice and live their own humanity fully, and who are passionately committed to their craft and profession. I look for therapists who are comfortable with “not knowing” and comfortable with not having all the answers, but rather who engage fully with life and their own journey of transformation.